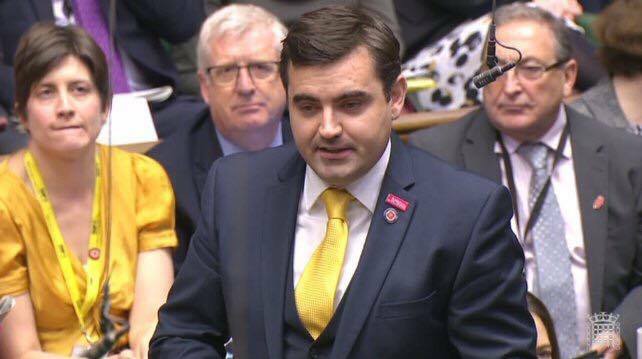 Gavin Newlands, SNP MP for Paisley and Renfrewshire North, has praised Paisley’s cultural contribution to the country, highlighting the positive effect that the arts can have on improving health outcomes. During a debate the Westminster on the effects that the arts can have on a person’s health, Mr Newlands spoke about the emphasis that the Paisley 2021 bid is placing on the role that culture can play in helping to regenerate parts of the town. The Member of Paisley and Renfrewshire North spoke about a number of Paisley-based projects which specialise in using the health to combat a range of health problems, including loneliness, poor mental health and old age. “The role of the arts and culture in our society is extremely important and wide ranging, including helping to combat longstanding health inequalities. Existing evidence confirms that the arts can combat a range of health problems, including mental health and loneliness. “I was therefore delighted to take part in this debate, stressing the positive relationship between the arts and good health and being able to highlight the range of Renfrewshire-based organisations who use culture to help produce positive health outcomes.